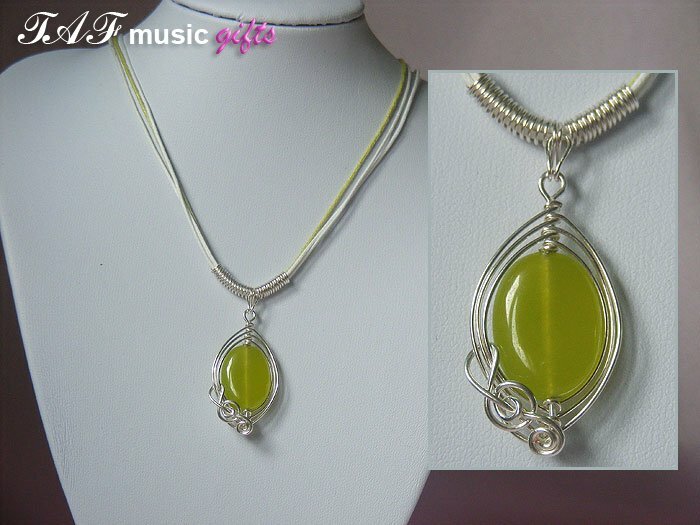 A small oval Peridot gemstone is wrapped in silver wire pattern decorated with a treble clef on the bottom left to create this striking peridot treble clef necklace from TAF Music Gifts. Please note you will receive a necklace similar to the picture shown which may not be exactly the same as necklace is individually hand made with individual stone. You may also be interested in our non-jewellery products such as green treble clef phone charm. Green Peridot necklaces, other music jewellery and non-jewellery gifts are designed and handmade in Herefordshire UK workshop. 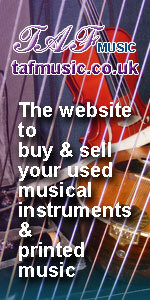 They make great music themed gifts for musicians, family and friends. Due to photography and computer displays, colours may vary slightly from the picture.